Growing Voices (GV) approached MightyDesignStudios to create their online presence and gifting store. 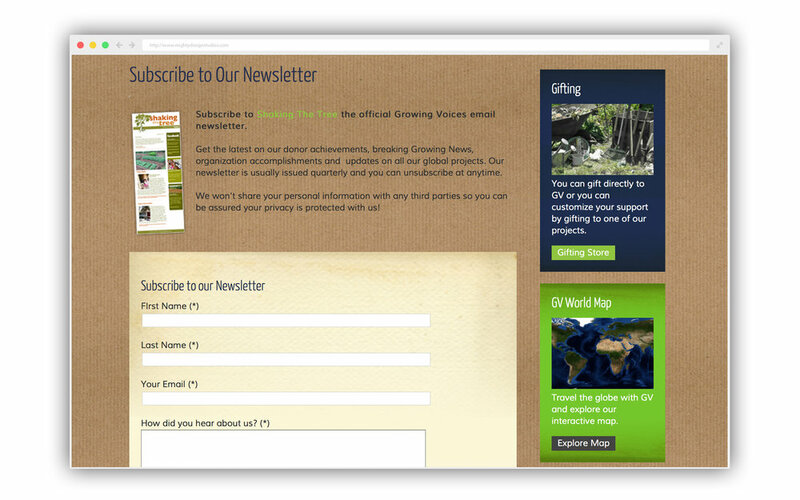 Through a large amount of articles, photos, videos and journaling, GV needed the site to show in detail the good work they do. This included developing a flexible online store that dynamically served hundreds of different items based on the current page.